Transfer Contacts from iPhone to Computer (PC/Mac) without iTunes? Accidently lose some important contacts could be a serious thing in the daily life, especially when you haven't backup these numbers in any other places. Therefore, backing up your iPhone contacts on computer seems to be so important in nowadays. Now, the problem is coming - how to copy iPhone contacts to computer for backup? Some people say iTunes can backup all your iPhone data automatically when you sync your iPhone to computer. Yeah, this is right. But the problem is that you can't read the iTunes backup file as you like and you can't find it without the help of a third-party program. So, in this article, we could like to show you how to move phone numbers from iPhone 6S Plus/6S/6 Plus/6/5S/5C/5/4S/3GS to computer for easily viewing and sharing by using an iTunes alternative tool. After downloading and installing this iPhone Contacts Transfer on your computer, you can click the desktop application to quick launch the tool on your computer and use a USB cable to connect your iPhone to computer. Once the program is launched successfully, it will start scanning files on your iPhone. Then you'll see all files is divided into different folders in the left panel. Click "Contacts" and then you can see the detailed contacts info in the right panel. Just choose the contacts you need and click "Export" button to save all iPhone phone numbers on your computer without any losing. What's more about iPhone Contacts Transfer? 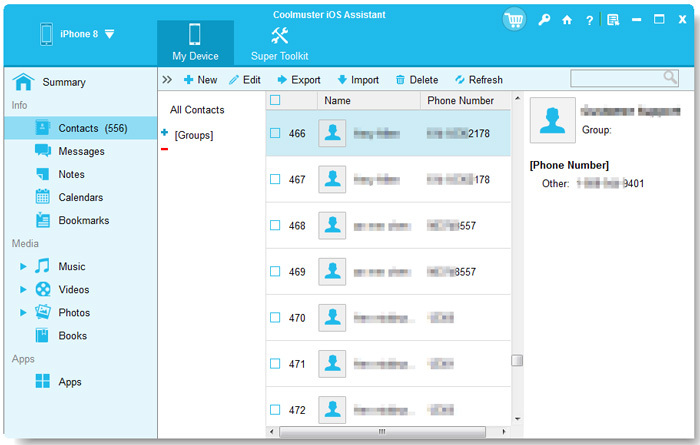 Now, all your iPhone contacts have been transferred to computer, and you can view them on your PC without any other additional program. With this recommended tool, you can also export photos, videos, music, notes, voice memos, etc. from iPhone within one simple click. 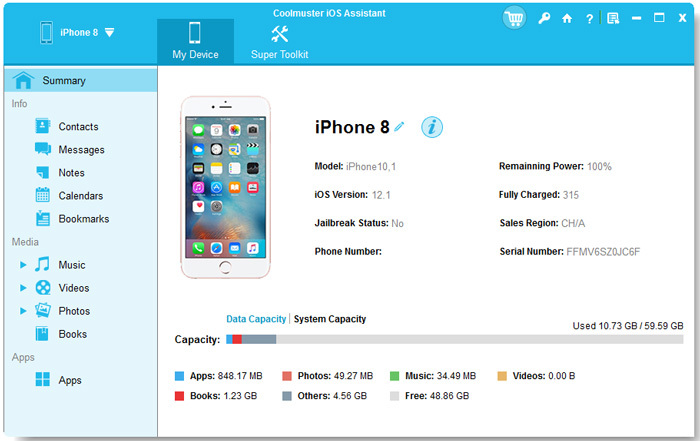 So as you can see, this tool is not only enables you to export contacts or phone numbers from iPhone 6S Plus/6S/6 Plus/6/5S/5C/5/4S/3GS to computer for backup, but also help you find back all your lost iPhone files as you like. Cool, right? Just click the below button to get this powerful program.